UCLA REMAP is now testing OpenPTrack as a primary interface for body-based interaction with interpretive media content for the Welcome Pavilion at the new Los Angeles State Historic Park (LASHP). 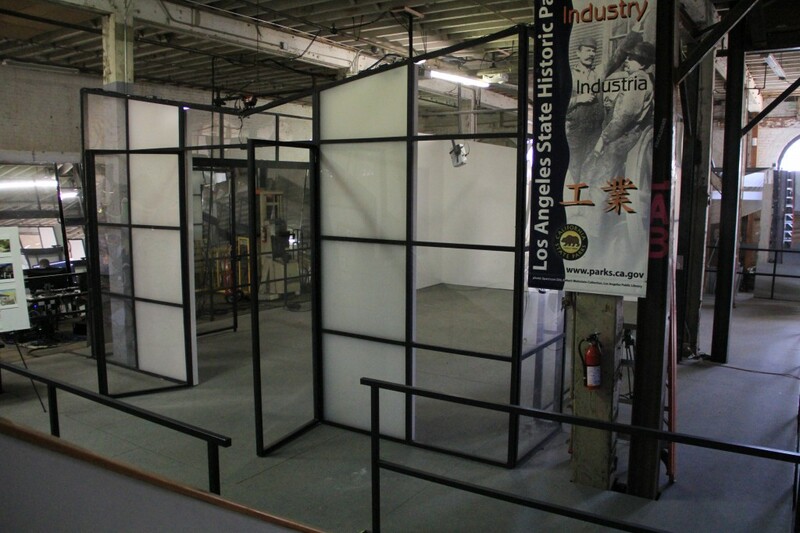 A full-sized mockup of the Pavilion (to be completed with the new Park in 2015) is installed at the nearby space of the Interpretive Media Laboratory (IMLab), a joint initiative of REMAP and California State Parks. IMLab’s plans for the new Welcome Pavilion at LASHP include a large daylight-readable touchscreen display for interactive, community-created exhibits and informal learning projects, with OpenPTrack as the primary interface for embodied interactions. Motivated by media concepts and prototypes developed by REMAP and its partners, including IMLab’s Interactive Digital Mural (2012-2013), this installation in IMLab’s Welcome Pavilion mockup will provide experience to improve performance with touchscreen and other interfaces. 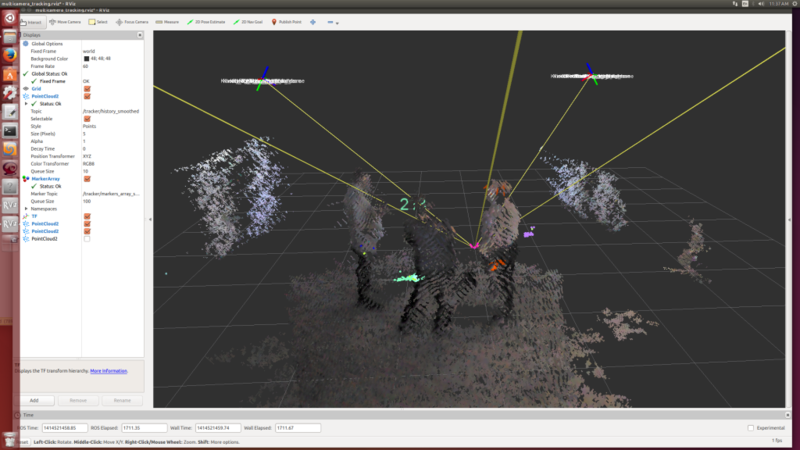 The initial deployment uses four Kinect 1 devices, one stereo camera pair, and one Mesa SwissRanger 4500 imager. Other proof-of-concept interactive exhibits will also be installed in the Pavilion mockup. For example, Whorl, a Touchdesigner-based interactive artwork created by Damon Seeley, David Glicksman, and Eitan Mendelowitz, is currently using OpenPTrack as its driver.